The beginning of the membership of Magdeburg in the Hanseatic League can't be dateable exavtly on one special year. You can say that Magdeburg has grown with the community of merchants and cities right from the start and belongs to them naturally. The addiction from Magdeburg to the Hanseatic League was obvioisly sinde the second half of the 13th century. Emperor Otto the Great loved Magdeburg so much so that he ordered the construction of the city´s first huge cathedral and transformed it into a metropolis of the early middle ages. The prominent inventor and former Mayor of the City of Magdeburg, Otto von Guericke, on the other hand, fascinated the world with his famous hemisphere experiment. Despite these well-known figures the City of Otto isnt just about major historical events but also represents an attitude to life, pragmatic approach and a sense of hospitality. Come and experience Otto for yourself! We look forward to seeing you soon! Magdeburg is the City of Otto. Later on, Magdeburg also joined the Saxon Leagues of Towns established in 1351, 1404 and 1416. It was then considered to be a gateway to the Saxon towns and cities together with the city of Braunschweig (Brunswick) and was therefore accepted into the Hanseatic League. The Hanseatic League was a special union that was by no means limited to cities and towns located along the coast but also stretched far into inland areas. Magdeburgs first alliance was formed with the town of Halberstadt in the year 1315. The aim of the Leagues of Towns was to guarantee their members trading opportunities without restrictions. Magdeburgs wealth was mainly a result of the staple right granted to the city that monopolised the grain trade in the middle Elbe region. Due to its central role in the grain trade, Magdeburg was even considered to be the bread house of the Hanseatic League, with long-distance trade relations in the Late Middle Ages extending as far as Northern France, Flanders, England, Poland, Russia, Sweden and Norway. Both the so-called Magdeburg Rights and the Law Merchant and Guild Law formed the basis of the jurisdiction of many European countries for centuries. 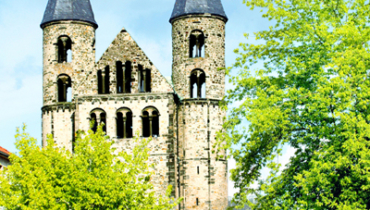 In fact, the "Magdeburg Rights" have been an integral part of European cultural heritage for over 800 years. The efforts of the Magdeburg Merchants Guild resulted in the establishment of this set of laws, which developed over many centuries to become one of the citys most well-known and successful exports. Magdeburgs favourable geographical location, the excellent quality of its traded goods and the extensive liberties mentioned above all ultimately contributed towards the strengthening of the city's trade relations. The city of Magdeburg considered itself to be a Hanseatic city until 1666 and in April 2003, it became a member of the new city league DIE HANSE (The Hanse). The 1200 year-old German city of Magdeburg can look back on a rich and colourful past in which it suffered massive destruction yet also enjoyed periods of prosperity and progress that still characterise its diverse cityscape today. 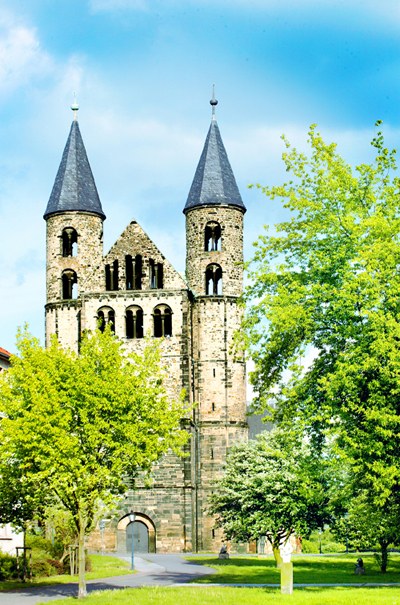 Magdeburg is home to buildings and constructions that represent a wide variety of architectural styles and bear witness to the splendour of times past and the wealth of the former Hanseatic city. 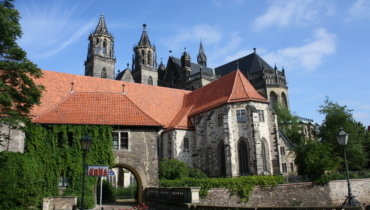 Due to its architectural gems such as the attractive Monastery of Our Lady, the capital city of of Saxony-Anhalt is often lovingly referred to as the pearl of the Romanesque Road. 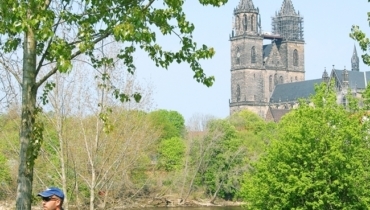 Alongside the monastery and its variety of churches, Magdeburg is also home to a prominent landmark, Magdeburg Cathedral, which was the first Gothic cathedral in Germany and has dominated the historic city centre for over 800 years. 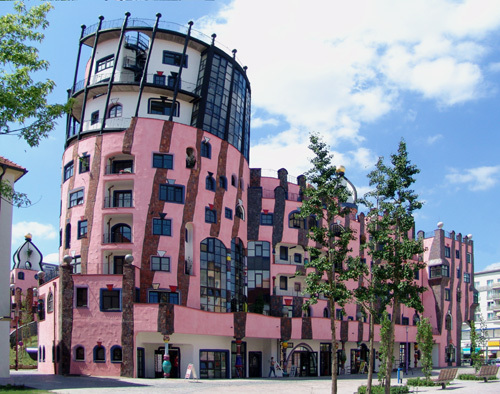 The city centre also features an outstanding architectural masterpiece that simply cannot be overseen: the GREEN CITADEL® OF MAGDEBURG, which was given to the city by the famous artist Friedensreich Hundertwasser as an oasis for humanity. The building, which is partly covered in grass and plants, grants window rights to its occupants and is even home to tree tenants, forms a remarkable contrast to the historic and modern buildings of Cathedral Square that represent a collection of 800 years of rich and diversified architecture. Magdeburg boasts a colourful variety of architectural styles, with Baroque town houses, stunning Gründerzeit architecture and several buildings in idyllic Art Nouveau style combining with the influence of the Neues Bauen modern architecture movement under the famous architect Bruno Taut and the Zuckerbäcker or Postmodern architectural styles to characterise the cityscape. 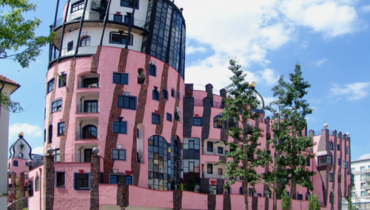 Magdeburg also lives up to its name as the Green Cathedral City on the banks of the river Elbe by offering fascinating scenic parks and idyllic gardens under the motto Garden Dreams. Its stately parks, for example the Stadtpark Rotehorn or the Herrenkrug Park, are home to giant old trees and spacious floodplains that provide visitors with the perfect opportunity to take leisurely strolls and enjoy interesting bicycle tours or picnics. 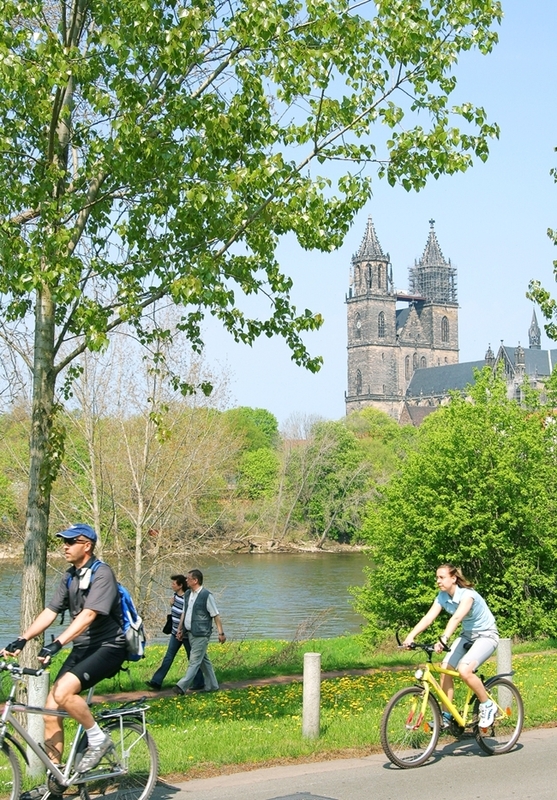 Last but not least, Magdeburg is also one of the locations along Germanys most popular cycle path, the Elbe Cycle Route. 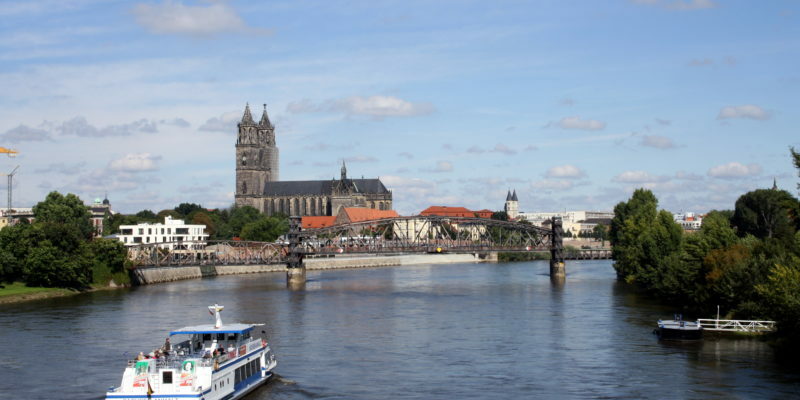 Visitors to the city can experience Magdeburg in an impressive manner both on and by the river Elbe, for example by going on a boat trip with the Weiße Flotte from the banks of the river to the Waterway Junction or further into the idyllic Elbe landscape. The various guided city tours on a red double-decker bus also take visitors across the river Elbe and show them the main sights and attractions of the city alongside its most innovative developments, for example the Port of Science.